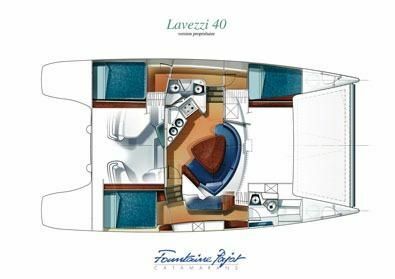 My Love is a 40ft Fountaine Pajot Lavezzi Catamaran. 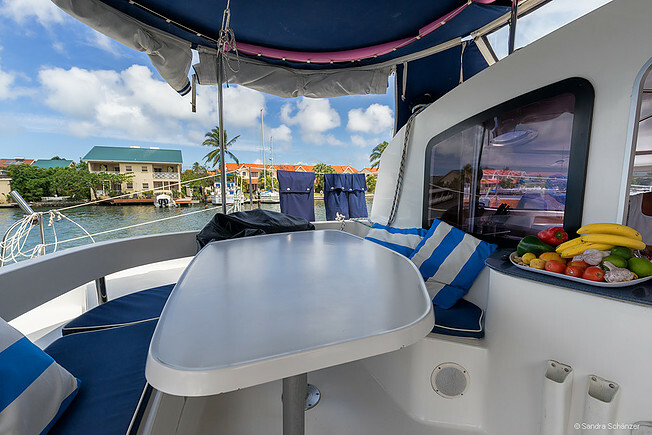 She is perfectly suited for a luxurious but informal cruise through the Grenadines. 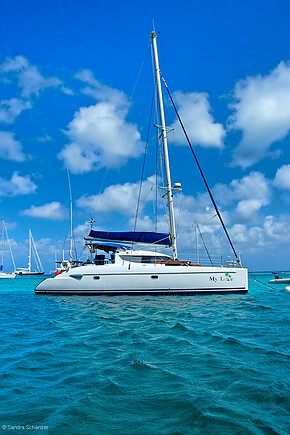 She also offers one of the most affordable crewed sailing yacht charters in the Grenadines. 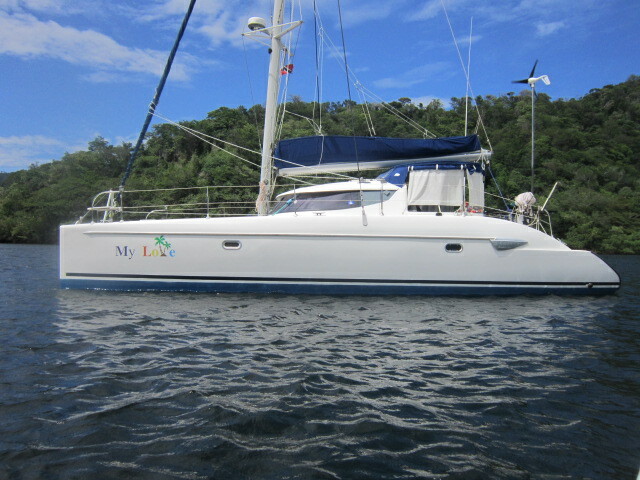 The yacht is very stable and performs well both under sail and under power. You’ll find ample room for sunbathing, stargazing and relaxing on her spacious trampoline. The shaded cockpit seats 6 comfortably at the table, There is more seating area behind or even on the helmsperson’s bench. 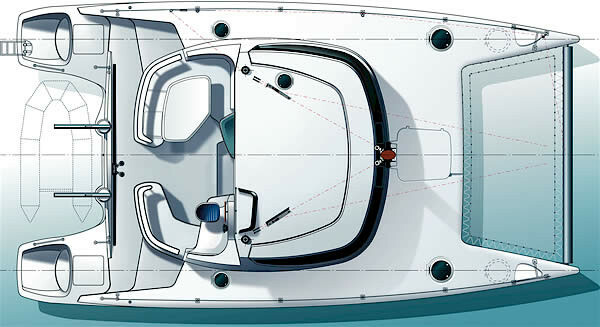 The Bimini has side and aft panels as necessary or preferred. 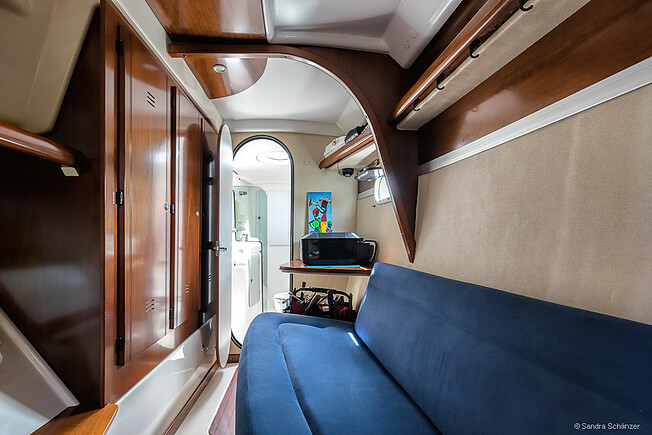 This affordable yacht definitely is very good price quality for the level of comfort, cuisine and hospitality. The interior is very well ventilated, AC is not needed! There are two cabins in the port hull. 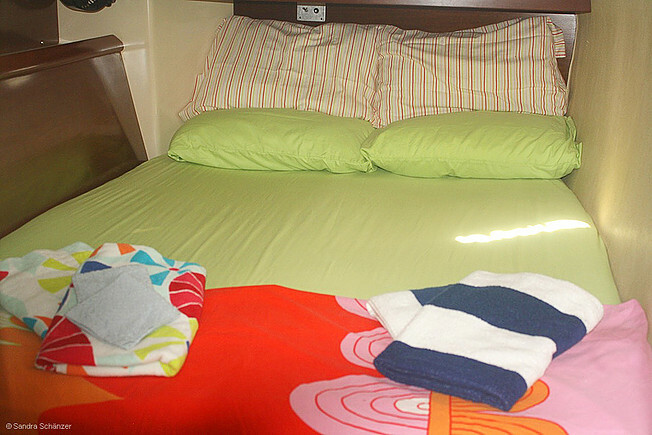 The aft cabin has a generous queen sized bed. 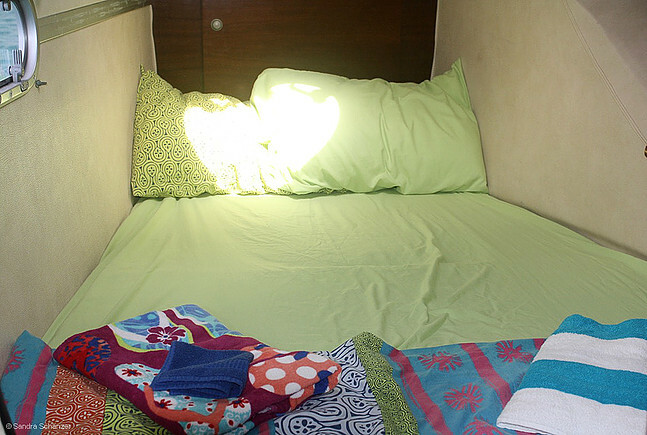 The forward cabin has a double bed, very cozy for a couple. These cabins share a bathroom. On the starboard side is the “honeymoon suite” guest cabin with a large queen bed, (it looks bigger) and a very large (for a 40ft yacht) private bathroom. 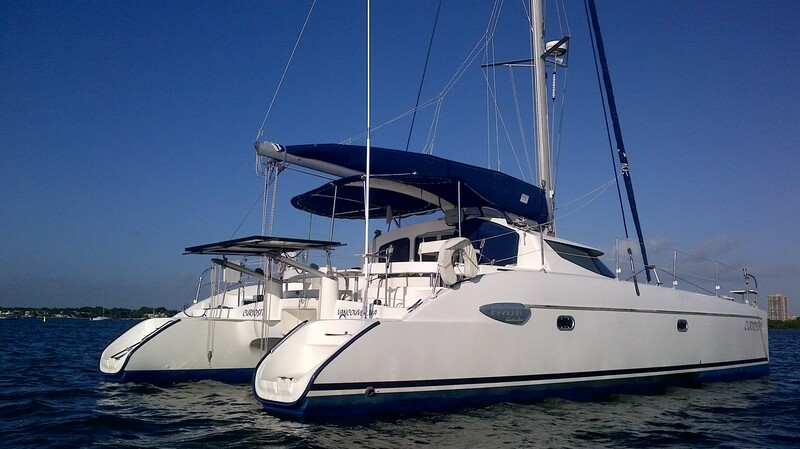 You will get the entire starboard hull if you book the yacht as a private charter for 2! All cabins have hanging lockers and plenty of storage space, but please do not bring hard suitcases. See specifications in the slideshow. 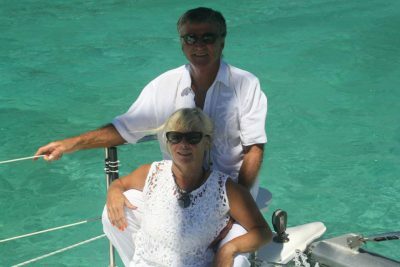 You will be accompanied by Mike and Faye, a Canadian couple with 25+ years boating experience. They cruised the entire Caribbean Sea, and have finally decided to base themselves here in the wonderful unspoilt Grenadines! Your guides through these islands will be able to provide you with a wealth of information about the area, sailing, and even cooking. Rates valid for charters booked and confirmed before 1st October 2018.